Leahy Will Not Address Racism, but We Can | BANG. This past December, the racist vandalism scrawled across the walls of Welch Hall rattled our campus. It was a vicious attack against BC’s black community and a clear reflection of our country’s current political turmoil. 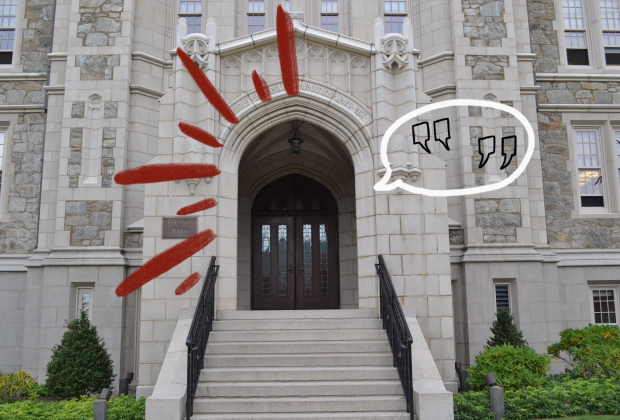 Students were left shocked and angry; they turned to Father Leahy looking for a statement condemning Michael Sorkin’s (CSOM ‘21) racist actions, but nothing has been heard from our President. This narrative of unjust actions that are met with silence is a familiar one. Our student body was met with the same silence in the fall of 2017 when the racist snapchat incident occurred, and Black Lives Matter signs were defaced, inciting the Silence is Still Violence March. The lack of response from our President itself speaks volumes—evidently, Father Leahy values appeasing donors over the safety of his own students. In doing so, the message is sent that Black students are lesser than others and are not valued at this school. And although Black students make up only 4% of our student body, they are just as important to Boston College as the other 96%. I believe that the lack of a statement from Father Leahy goes against the Jesuit ideals that BC is founded upon. But at what point does the blame shift from Father Leahy to the student body? Certainly, a statement from our President is necessary following terrible incidents such as Sorkin’s vandalism. 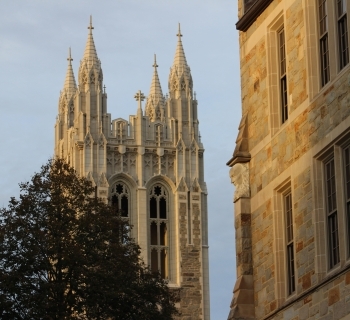 The safety of students at BC should be the University’s top priority; however, at this moment in time, it seems that this is not a pressing concern for the top administration. And yes, a statement from Father Leahy is an important step in alleviating racial tensions on our campus. I believe, however, that after we have constantly been met with silence, it is our duty as allies to take matters into our own hands. It is a cowardly thing for one to believe that since Sorkin’s racial actions did not affect them directly, they do not need to stand up against the injustices themselves. We know that it is highly unlikely that we will ever receive a statement from Father Leahy in regards to racist incidents on our campus, so it is futile to demand one. We protested last year, and not much changed. Though the administration did introduce Diversity EDU as a result, it wasn’t as effective as it intended to be, given the racist incidents that occurred in the fall. Though UGBC and other student groups are pushing the administration for change with great effort, it is likely that change will come slowly. Thus, it is the job of the greater student body to prevent the pressing issue of racism from falling to the wayside. It is a new semester, and it is up to all students, not just Black students, to continue having the hard, necessary conversations and extending allyship to our Black community. 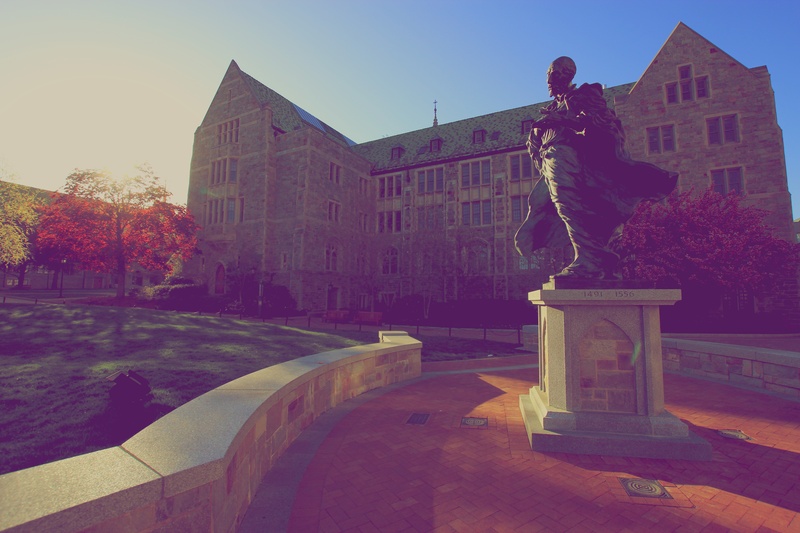 We can blame Leahy all we want—and to a certain extent, the lack of a statement fuels the hostile racial climate at BC— but at a certain point we have to stop waiting for some sort of divine intervention and take action ourselves. BC’s non-black students who identify as allies need to stand together. Our Black peers do not feel safe in a place that is supposed to be their home, and we need to do better. It should not take an incident like what happened on December 9th of last year in order for us to speak up, and just because the immediate effects have “blown over” does not mean that this issue has gone away. Whether it is educating yourself on racial matters or calling out peers in difficult situations, our student body needs to step up to ensure that Black students feel safe on BC’s campus. This movement should have a top down approach, with Father Leahy leading by example, but in the meantime while we wait indefinitely for his statement, it is crucial for our student body to not let the racism on our campus go unchecked.